A snorkel lovers delight! 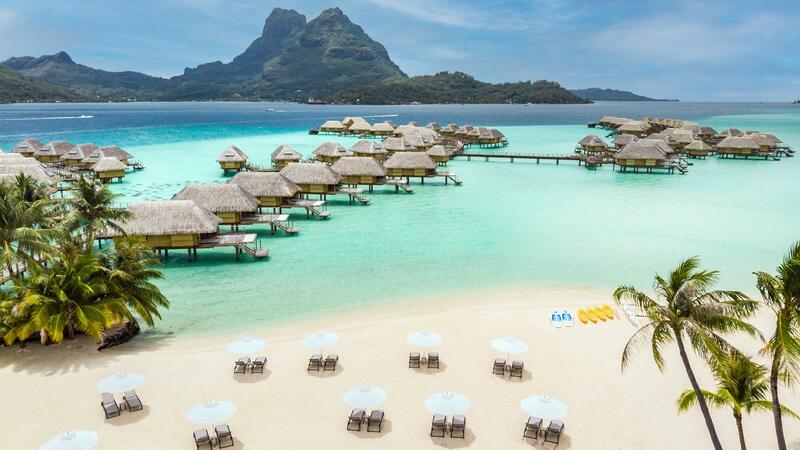 Enjoy 3 nights on a private island at the Sofitel Bora Bora Private Island surrounded by a turquoise lagoon and it’s own coral reef and just two minutes by boat from the main island. Bonus: Free Mini-Bar water, sodas and beer refilled daily. Followed by 3 nights in an Overwater Bungalow at the Kia Ora Resort & Spa Rangiroa located near the Tiputa pass, along a large white sand beach bordered by coconut trees. The lagoon's sheer abundance of marine life, has earned Rangiroa her reputation as a superb snorkelling and diving locale. Package includes Full Breakfast daily, a Tahitian Black Pearl for the Bride, Bonuses such as Champagne or Tropical Flowers. International and Inter-Island Airfare round trip and Airport Transfers included. Dinner at Bloody Mary’s Bora Bora, Shark & Ray feeding Bora Bora, 4WD Bora Bora. Drift Snorkeling in Tiputa Pass Rangiroa, Blue Lagoon Tour with Motu Picnic, the Pink Sand tour with Motu Picnic, Reef Island Excursion. For a complete list of recommended Excursions on Bora Bora and Rangiroa, please refer to the Excursions page and include your preferences on the Quote Request Form.